After the X1 and X2 there is with the Onan X3 a new electric longboard kit available since 2017. It is slightly cheaper than the Onan X2 which is still on sale and will coexist. The Onan X3 offers with 1,200 watt (compared to 2,000 watt of the X2 model) a maximum speed of 18.6 mph or 30 km/h (24 mph or 40 km/h for the X2 model). Due to improved electronics and smaller wheels the range of the X3 is with up to 12 miles or 20 km beyond the X2 (9 miles). Both electric longboard kit use the same Samsung Lithium Ion battery with 36V and 4.4 Ah at 158 watt) and 2 in-wheel motors. Each X3 motor has 600 watt compared to 1,000 watt for the X2. Further differences are with the wheels and the weight. 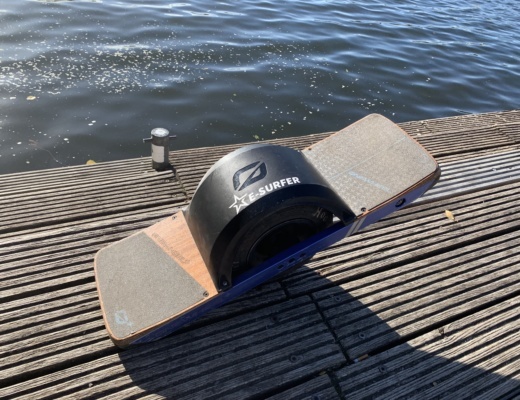 The X3 is slightly lighter with its 6.2 lbs (8.4 lbs including battery) and is using 75 mm / 80a wheels instead of the 93 mm / 82a wheels of the X2. With the X3 you can change the wheel rubber and there are 4 colours available: blue, black, green and orange. The accessories are the same for both models. 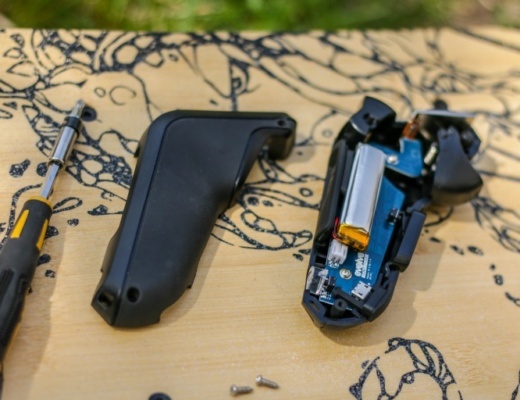 Each kit comes with charger, skate tool, remote control and screws. 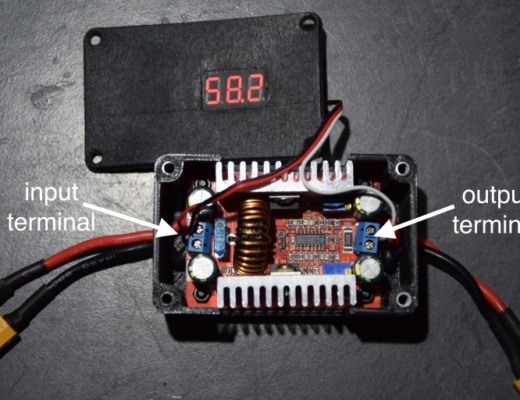 A regeneration braking system will charge your battery if you go downhill and brake. But be careful, if the battery is fully charged the brakes may not be fully functional. While it is a nice gimmick that you can chose the colours of your wheels it is not essential (at least for us). 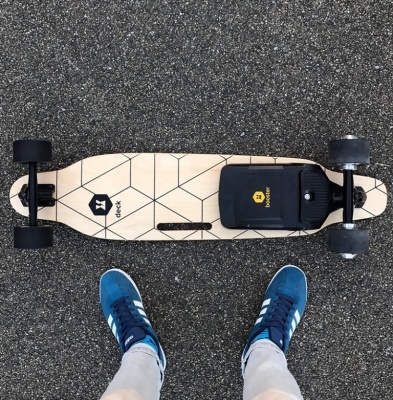 With even less power than the X2 electric skateboard kit which we have testet in our Onan X2 review article, we recommend to spend the 99 USD more for the X2. 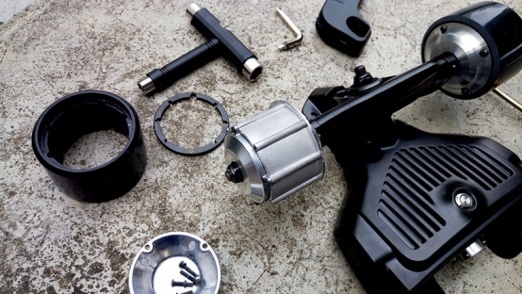 Of course, the Mellow Drive is ways more expensive, but for us still the first choice when it comes to electric longboard conversion kits, but not everybody has the budget. You can compare the different kits in our >electric skateboard comparison.